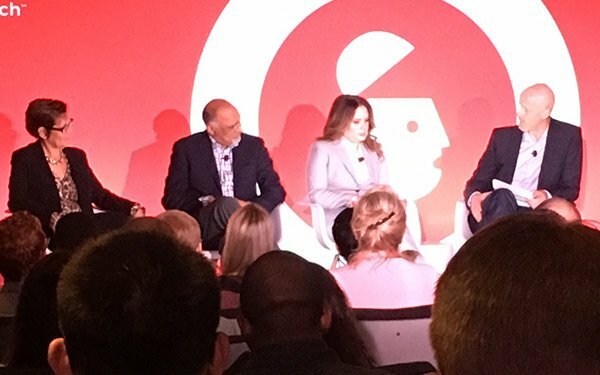 When consumers say they hate your ads and flock to ad blockers and ad-free platforms, then putting the same ads in front of them is probably insane, said Raja Rajamannar, chief marketing & communications officer, MasterCard, during a marketing-focused session Monday at Advertising Week New York. Today's consumers want advertisers to be authentic, added Rajamannar. "They expect brands to take a stance and do something about it and not just put out ads." This evolution would be easier if the financial platform didn't currently have an award-winning and successful creative campaign. MasterCard really didn't want to throw its four-and-a-half-year old "Priceless" campaign out the window, “but how do we take our involvement to the next level?” asked Rajamannar. MasterCard decided to pivot from storytelling to story-making. The financial brand now focuses on experiential marketing and "sprucing up sponsorships," as well as curating and creating experiences for consumers at scale in an economical fashion. Instead of enabling priceless moments in people's lives, MasterCard is now inspiring people to start their own priceless moments. While the company has its separate social advocacy group with $23 billion in assets, it recently introduced a broader "Priceless" platform to blend causes. Under this umbrella, the company recently donated 200 million free lunches. With so much fake news, people don't know whom to trust, so Bank of America's messaging is following a swing back for experts, said CMO Meredith Verdone. Data and privacy issues are other key challenges, panelists said. “You need to make it part of your strategy instead of worrying that you are going to get caught,” said Verdone. BOA wants to connect offline with online interactions. Despite admitting it might be a "little creepy," Verdone believes customers would embrace extreme personalization such as receiving an online follow-up immediately after a person ends a call center phone conservation with the same brand. Univision has stepped back as a media company to reevaluate its positioning and strength. “How do we as a company embrace what are we good at when the rapid speed of change has the company investing in to many things?” asked Univision's CMO Jessica Rodriguez. Now, Univision intends to be a leading voice for the Hispanic community for issues important to viewers, such as immigration and Deferred Action for Childhood Arrivals (DACA).